From the Runway to the Courtroom! Again a sign of B.A.F.F.L.E.D. 's love for fashion and law. Check out this amazing event! 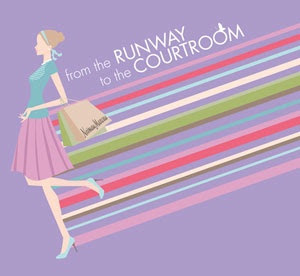 This spring, the Law Bulletin is partnering with Neiman Marcus to produce the second annual “From the Runway to the Courtroom” charity fashion show for the legal community. The purpose and goal of the event is to promote and raise funds for the Chicago Bar Foundation whose mission is to provide equal access to justice for disadvantaged Chicagoans. The fashion show is scheduled for Thursday, May 5th at Neiman Marcus on Michigan Avenue and 100 guests are expected to attend. Guests will be able to network, visit co-ed cosmetics stations, and enjoy cocktails and hors d’ oeuvres prior to the highlight of the evening, the fashion show. The fashion show will feature 2011 spring trends appropriate for today’s legal professionals worn by both models and Chicago area attorneys.